• In most homes, lighting accounts for around 10-15 per cent of a typical electricity bill. 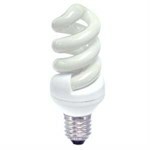 • Traditional incandescent light bulbs (also referred to as GLS bulbs) waste a lot of their energy by turning it into heat. An electric current is passed through a resistive filament, causing it to glow very bright, giving of light. 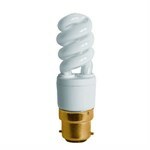 The glow also generates a lot of heat, hence incandescent bulbs are hot to touch when they are on. 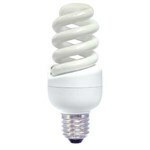 In comparison to what technology is available today, they are energy inefficient and also suffer from having a very short life in comparison to energy saving bulbs, 1000 hours versus 6000+ hours. • Energy saving light bulbs work in the same way as fluorescent light bulbs. 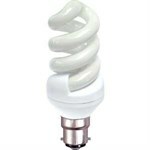 An electric current passes through gas in a tube, making the tube's coating glow brightly. 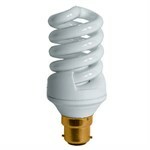 There is a ballast or transformer fitted into the base of the energy saving bulb which controls the supply of electricity to the bulb, allowing for a small surge of power for a millisecond to light the bulb and then reducing the electricity flow to a very low level. 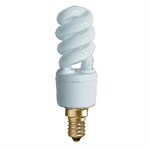 This reduces the amount of electricity a fluorescent light bulb uses in comparison to a normal incandescent light bulb. 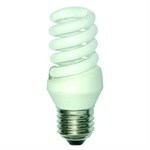 This is the principle with which energy saving bulbs work. 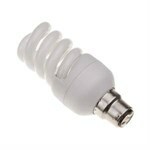 • Help keep your electricity bills down by using energy saving light bulbs around your home and work place. They use around 80% less electricity and can last up to 12 years.